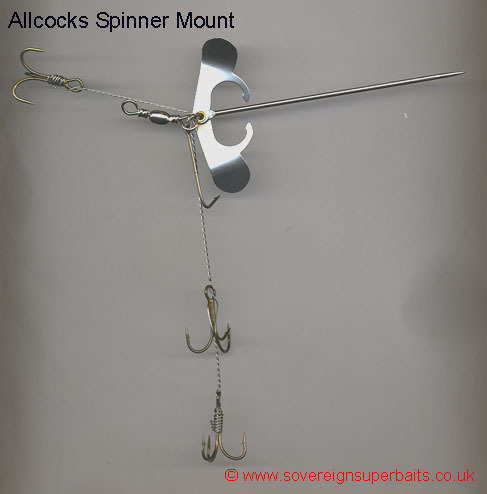 : Here we have another revived Allcock product with a 21st century twist, that being the spinner blade is made from perspex, the total weight is 4g all mounted on a brass pin and the two size 8 treble hooks are tied to the same piece of 7-strand stainless steel wire so that you can adjust the length to suit your bait. : also known as an “Archer Flight” this item started life in around 1875, has gone through various evolutions, weighted and unweighted, and what you see here is today’s version of this item. 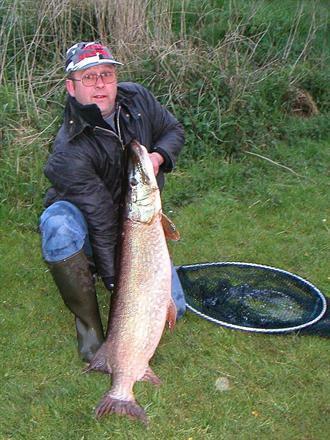 Norther Irelands infamous Matt Dean with a 31 lb 2oz Loch Erne Pike caught taken on wobbled roach. 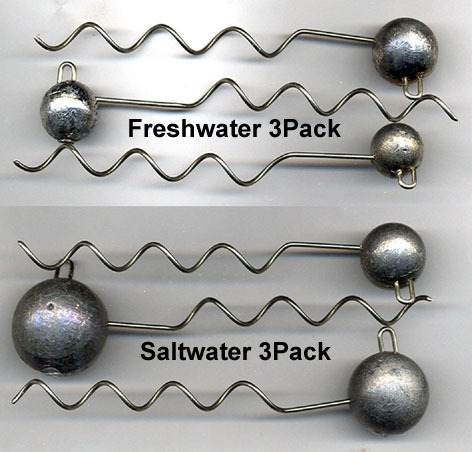 The freshwater pack consists of 1 x 19g, 1 x 24gm 1 x 34g. The saltwater pack contains 1 x 30g, 1 x 62g, 1 x 98g. : Designed and manufactured in England, the Spirajig is a very simple yet very clever idea. 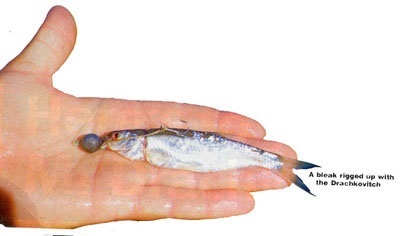 It can be used with all types of soft plastics and all types of real bait. It can be used for power casting or vertical jigging and just about every discipline in between. 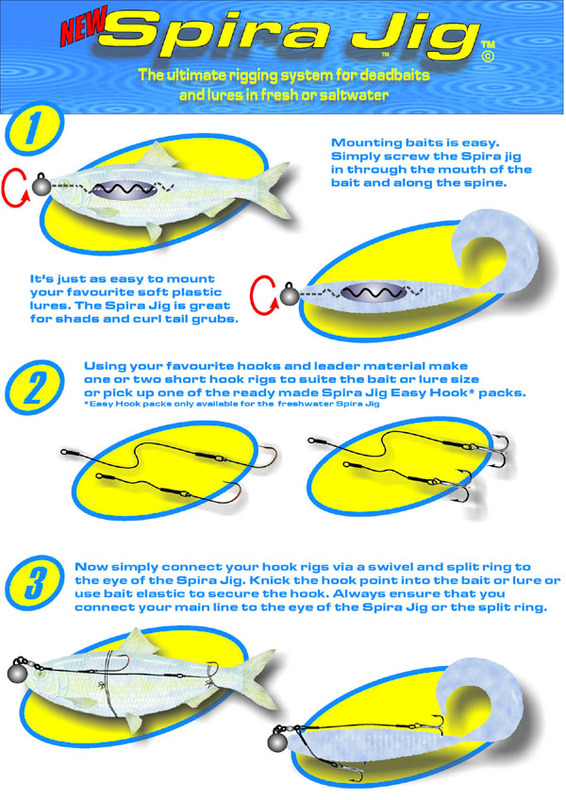 Below are complete and comprehensive instructions on how to use this rig for casting or as a jigger. 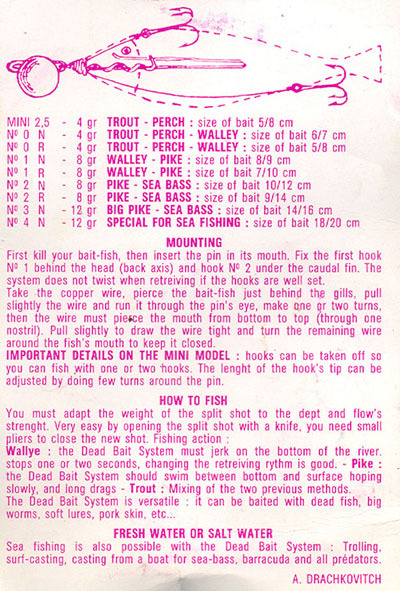 Can be used with single hooks, pennel rigs, treble hooks or ready made stingers. For those of you that don’t know what this is or haven't seen one before, its a very a simple but deadly sink and draw rig. Designed by France’s one time leading predator angler (now no longer with us), Albert Drachkovitch. Born in Belgrade Serbia, Drachkovitch moved to France in 1939 & was a great all-round angler, but concentrated on predators & in particular, Zander. 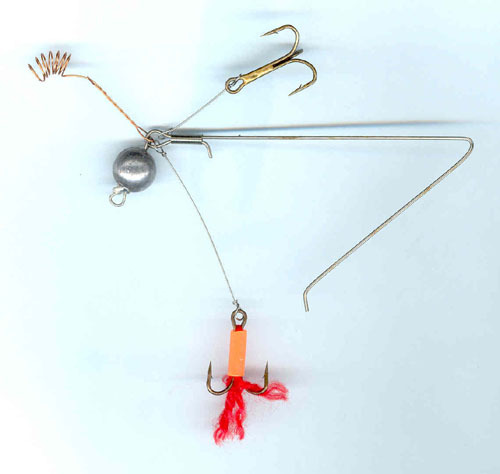 Approximately 40 years ago he invented this rig to fish small dead baits & impart movement to them. Nowadays they are also used to fish soft plastics to great effect. It's never been modified because it can’t really be improved upon, but It has been copied by all & sundry. We have acquired it in 2 weights and 2 breaking strains - see price table below.